Tuesday 02/05 Happy Birthday Stu Rosner! 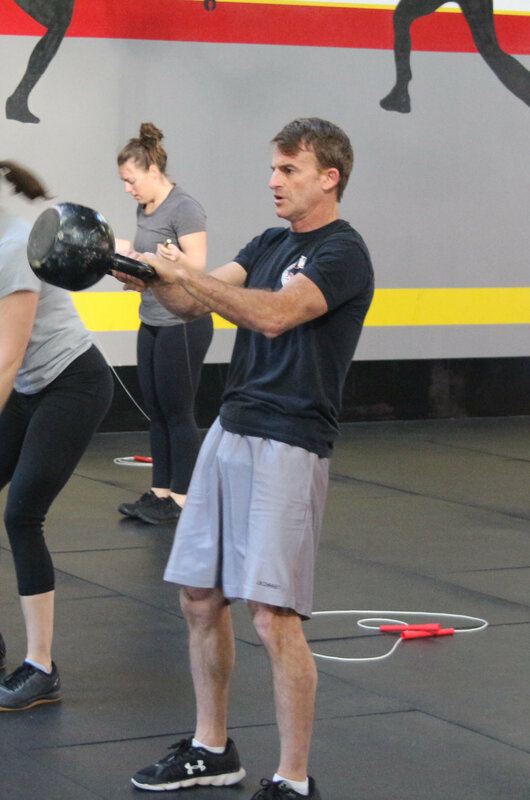 Stu swinging a 70lb Kettlebell. Have a fabulous birthday! Increase loads. Compare to 12/18/18. Post loads for part A and total reps for part B to Members area. 1) DB Chest Press, 5x5 @ 31X2. 2-minute rests. 2) Incline DB Chest Fly, 5x8. 2-minute rests. 3) Dips, 5x5, slow and controlled. Weighted if possible. 2-minute rests. 4) Bench Press, narrow grip, 5x8. Hold contraction at the top for 3 seconds. 2-minutes. Post loads to Members area. Compare to 01/11/19.